Coming to the end of a lease means that you have to do one of the biggest stressors in modern life! If you leave a rental property in an unclean condition, the rental agent may take money out of your bond to pay for cleaning services before others move in. Here are some tips for your end of lease clean to help get the job done more efficiently and get your bond back in full. Don’t forget those nasty tasks like the insides of your cupboards and those marks on the walls. Cleaning a whole property inside and out is no small task. This means that you should start cleaning early – don’t just plan to clean on the day that you vacate as you might not have enough time to get everything done! Start cleaning the property in bits at least a week before if you can do so, as it will make it a lot easier and take the stress out of trying to get everything done at once. Cleaning up at the end of your lease is also a very good time to declutter your life by getting rid of belongings you no longer want or need. Get rid of old clothes you don’t need, old bottles of moisturiser you never use, old utensils and so on. Because seriously, if you don’t already use them it’s not worth having them around. Water and a cloth work for some things but not others. If you are doing your end of lease clean, then you should get some quality cleaning products to help get the job done more quickly and more effectively. Some rental agencies require you to get your carpets professionally steam cleaned as part of the lease agreement. Even if this isn’t required for your lease, it’s always a good idea to do it as your carpets can get pretty dirty over the course of your tenancy. Make sure to remove all your furniture so that the carpets can be completely and properly cleaned. If you’d like the professionals to handle your domestic cleaning in Sydney for your end of lease clean, then give HouseProud a call. We can take care of your end of lease clean, so you don’t have to worry about doing it yourself, spending time scrubbing that you would rather spend doing something else. 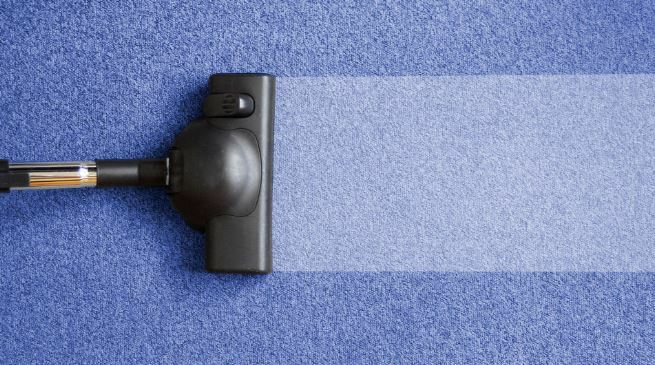 We also offer carpet cleaning services, along with regular home cleaning and more. Take the stress out of moving by getting us to handle your end of lease clean.